These look delicious, doll! I'm definitely making these sometime next week! HI Christina! This looks great. Freezing for later - genius! I freeze everything I can possibly think of. :) I should really stop. It's getting to be a bit much! This looks really good, Christina. Now I have a hankering for some Mexican food. What kind of Goya seasoning do you use? I often use Goya seasoning in my rice. I add it along with the water and Tabasco sauce in my rice cooker. My favorite seasoning is the "Con Culantro Y Achiote". Not only is the flavor good but it gives a nice color to the dish. Your blog makes me so hungry. The pictures are great - what camera/lens do you use? 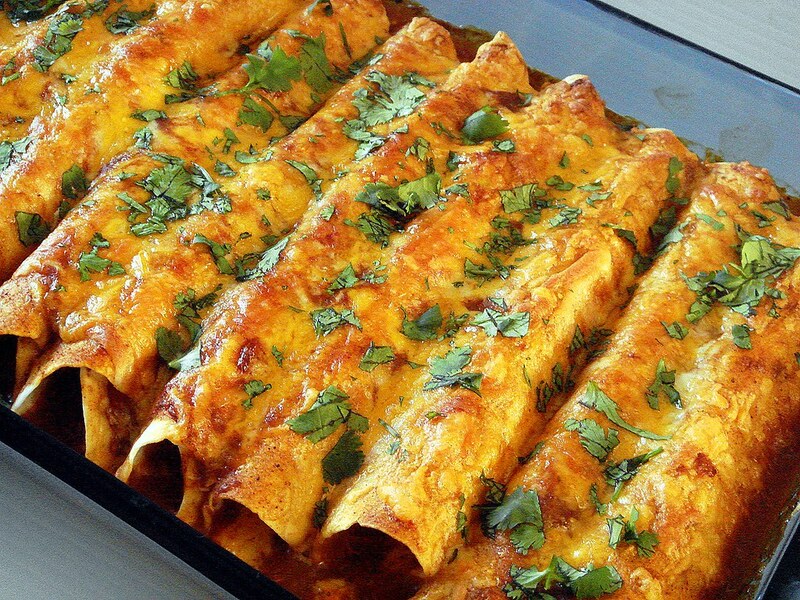 Oooooh, your enchiladas turned out beautifully! I'm glad you liked the Everyday Food recipe. I also agree with you -- I think the punch is from the chipotle chili/adobo sauce. I'm totally going to try some of your mods next time! Tiffers ~ I will invite myself over. Esther ~ On the opposite end of the spectrum, I never freeze anything because there's no space in the freezer! 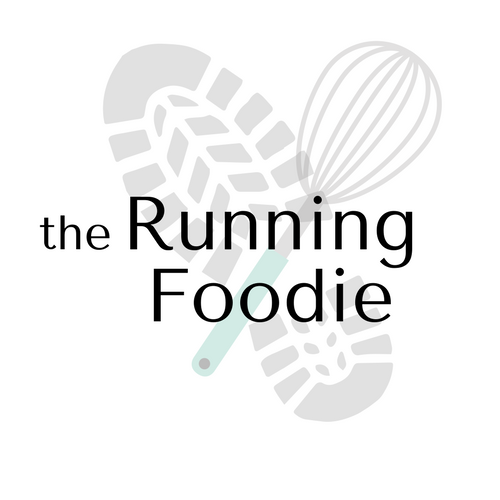 Jogger ~ The Goya I use always has cilantro in it, and maybe cumin. And perhaps I really love salt because on its own I don't feel it's all that flavorful. Dax ~ Haha, thanks! A Sony Cybershot DSC-T30, which is a point & shoot. Caitlyn ~ The only problem is that now I have about a can of chipotle chilies left! Though back to the freezing, I should just make a double batch of the sauce for later. Hope you like the mods! 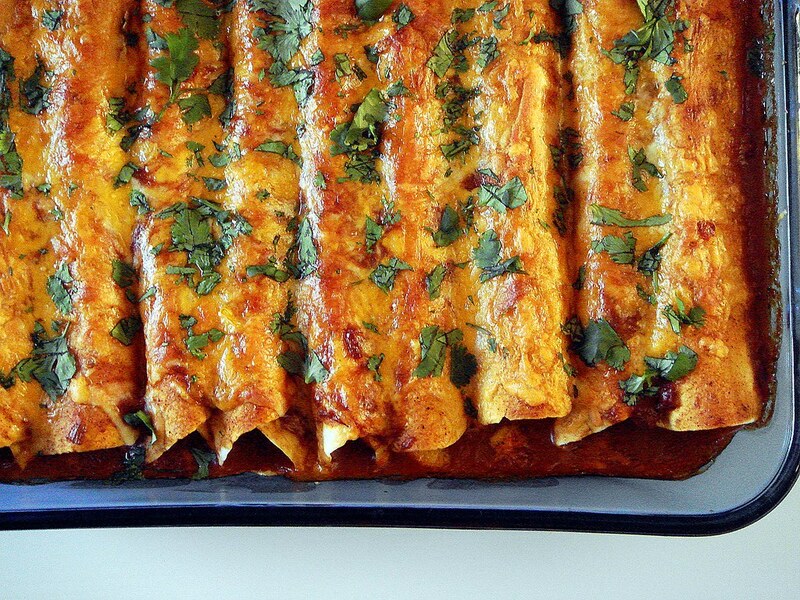 Recipe looks good, I've been trying to find a good recipe for Enchiladas. It's not my recipe but I've made it a few times and it's great melted on steak right off the BBQ or on bbq-d corn on the cob! These look great! I've been experimenting with homemade red enchilada sauce a lot lately so I will definitely give yours a whirl! 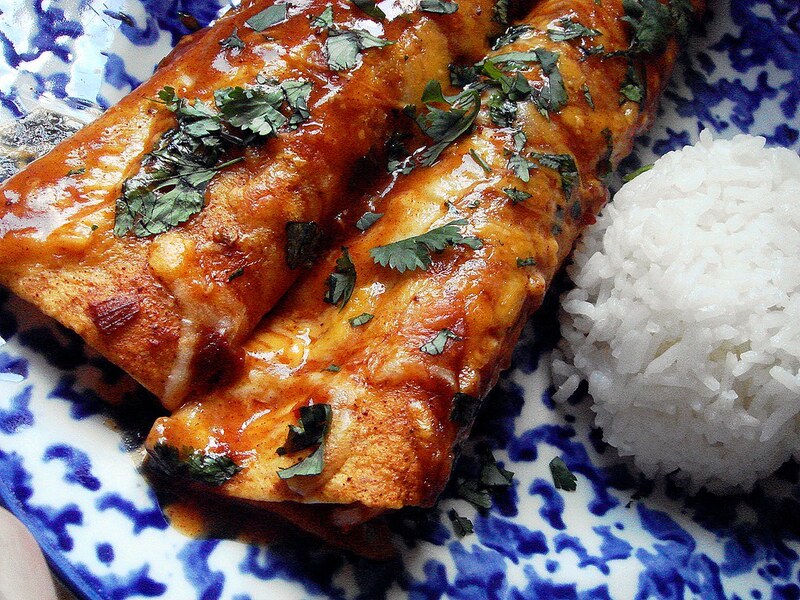 Oh man, these look great--way better than Ramen. I'll have to save this recipe!